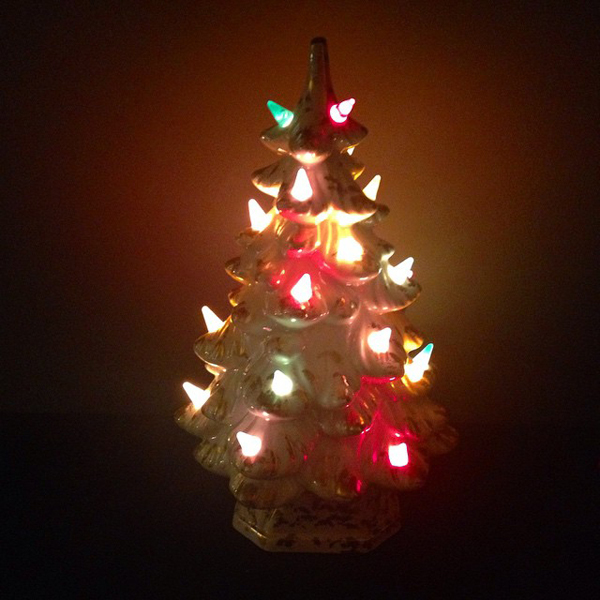 As soon as we got home from Thanksgivng I had to put up at least one decoration - this little white ceramic Christmas tree. One by one I've been adding decorations here and there. 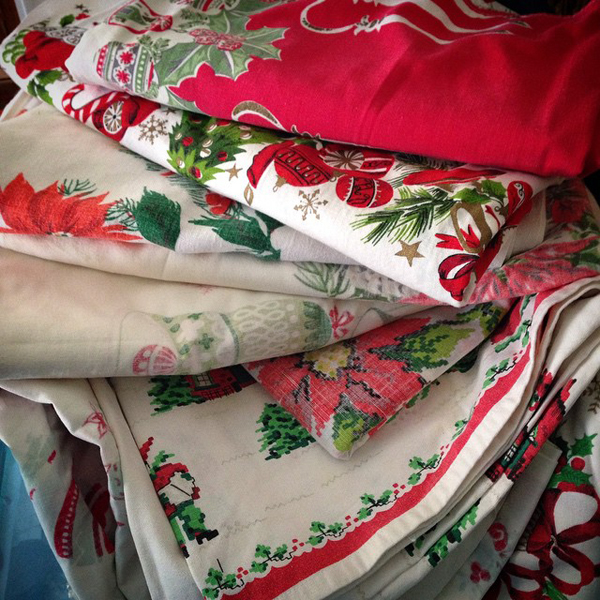 Which Christmas tablecloth to go with?! Maybe change it out each day?! 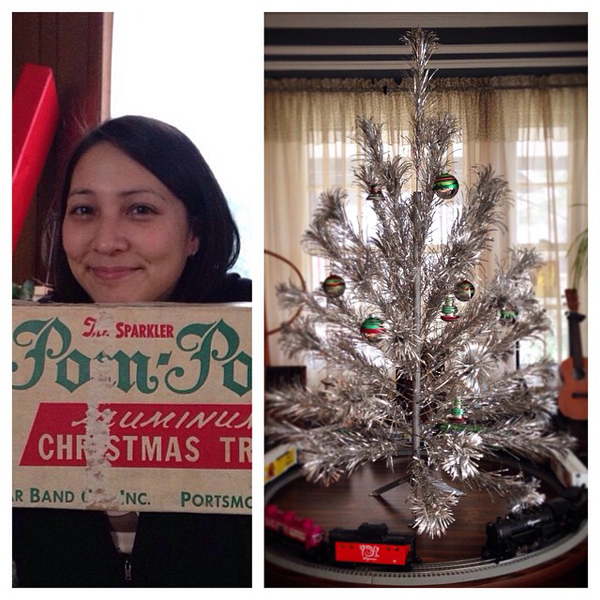 Last Christmas my mom got me this vintage aluminum tree. It was well cared for and it great shape... I was able to put it together with no problem. 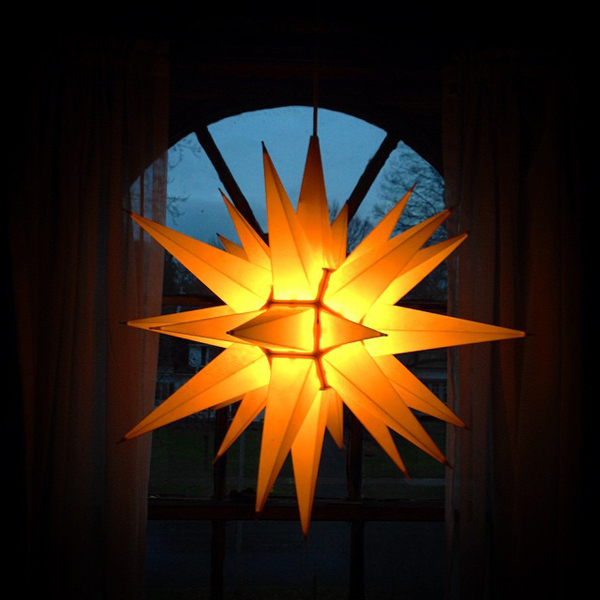 I plan to hang my vintage Shiny Brite ornaments on it. Aaron even got me a new box of Shiny Brite ornaments for on it. 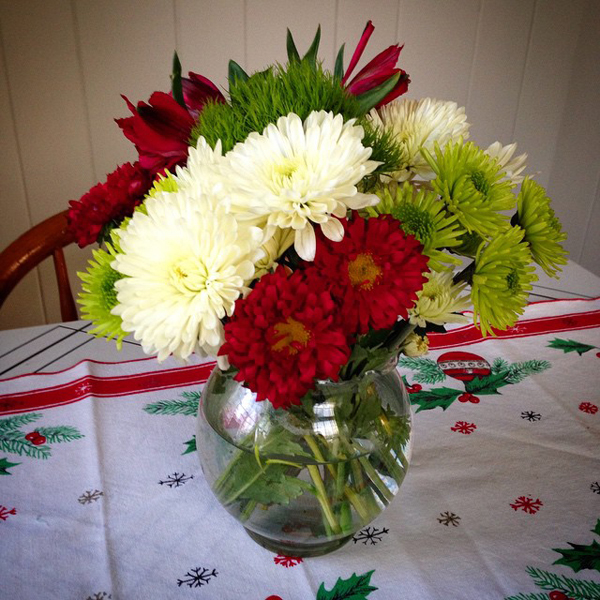 I love festive flowers at Christmas too! This is my favorite spot in the house. 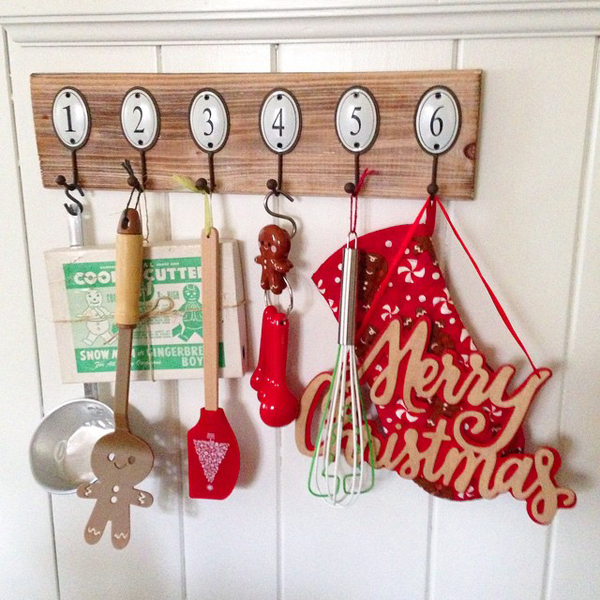 Festive kitchen decor!